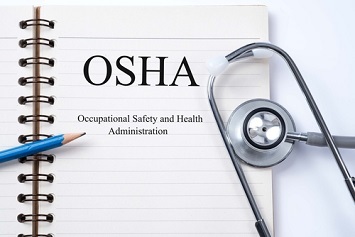 OSHA announced that the agency’s Region 3 office and Turner Construction Company have established a strategic partnership to promote workplace safety for a building project at UPMC Hamot hospital in Erie, Pennsylvania. The University of Pittsburgh Medical Center broke ground last year on a $111 million project to build seven-floor patient tower on the site of the former UPMC Hamot Professional Building. Establish effective safety and health programs for the project. The project, to build a 200,000 square-foot patient care building located at 201 State Street in Erie, is scheduled for completion in 2020. OSHA’s Region 3, headquartered in Philadelphia, oversees workplace safety and health in Delaware, the District of Columbia, Maryland, Pennsylvania, Virginia, and West Virginia. Maryland and Virginia are state-plan states with their own occupational safety and health programs. OSHA’s Region 8 office announced it had signed a safety alliance with the Montana Contractors Association (MCA). The two-year alliance will focus on effective education and training programs to recognize and prevent workplace hazards in the state’s construction industry. The alliance also will develop training programs for small employers to enhance their understanding of OSHA’s rulemaking and enforcement initiatives, as well as, employees’ and employers’ rights and responsibilities. “This alliance allows OSHA and MCA to provide resources and emphasize the critical importance of safety and health training throughout Montana,” said Art Hazen, director of OSHA’s Billings Area Office. OSHA Region 8, headquartered in Denver, includes Colorado, Montana, North Dakota, South Dakota, Utah, and Wyoming. Utah and Wyoming are state-plan states, which administer their own occupational safety and health programs. The Alliance Program, like OSPP, is administered by the agency’s Directorate of Cooperative and State Programs. Alliance partners help OSHA reach targeted audiences, such as employers and workers in high-hazard industries. The alliances aim to give employees and employers better access to workplace safety and health tools and information. OSHA fosters collaborative relationships with groups committed to worker safety and health to prevent workplace fatalities, injuries, and illnesses among vulnerable populations. The Directorate of Cooperative and State Programs also administers the OSHA Challenge mentorship and training program, OSHA’s Safety and Health Achievement Recognition Program (SHARP), and Voluntary Protection Program (VPP). It also coordinates OSHA’s relationship with state-plan states and oversees the agency’s international activities.